Nasdaq plans to develop applications for blockchain in Estonia – a tiny country in northeastern Europe, just below Finland which is the size of The Netherlands, with 13 times less people at 1.3 million inhabitants (which is comparable to the population of Hawaii). Two and a half decades after Estonia regained its independence in 1991, after the collapse of the Soviet Union it is a world leader in technology. Estonian hackers developed the code behind Skype and Kazaa (an early file-sharing network). In 2007 it became the first country to allow online voting in a general election. It has among the world’s fastes broadband speeds and holds the record for start-ups per person. Its 1.3m citizens pay for parking spaces with their mobile phones and have their health records stored in the digital cloud. Filing an annual tax return online, as 95% of Estonians do, takes about five minutes. Nasdaq is on track to roll out the technology on its market for private companies, Nasdaq Private Market, later this year, helping firms keep track of the shares they issue and enabling them to almost instantaneously settle transactions, Nasdaq Co-President, Hans-Ole Jochumsen, said in an interview. The New York-based company is also preparing plans to develop new blockchain applications in Estonia, where Nasdaq owns the Tallinn Stock Exchange, Estonia’s only regulated secondary securities market, as well as The Estonia Central Securities Depository (ECSD), he said. 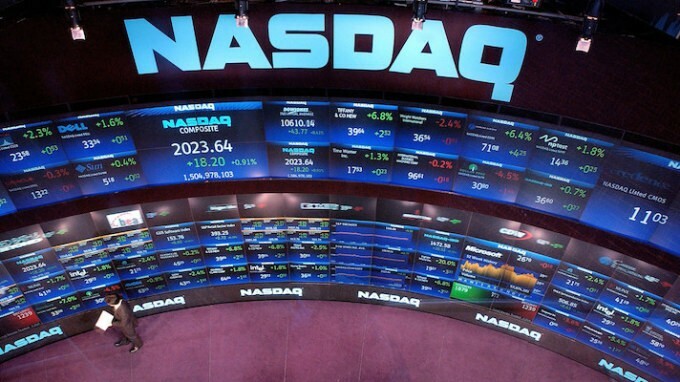 The applications will focus on improving the proxy voting process for companies, as well as for company registration and public pension registration, which Nasdaq has a contract to manage with the government of the Baltic country of around 1.3 million.